The Samsung Galaxy Gear will reportedly feature a 2.5-inch rectangular screen, feature a camera and have a speaker built in. That is according to GigaOm, which has published a full report on what Samsung is expected to unveil at its September 4th event. According to the report, the smartwatch will marketed more as a companion device than a standalone gadget. It is unclear how much of the phone will be reliant on the owner also having a Samsung smartphone. It will feature a screen that sits on top of a strap and come with Bluetooth 4.0 and NFC connectivity. That connectivity will allow users to start reading a notification on their watch and immediately switch it to their smartphone if they need a larger screen. In terms of software, it is said to come with Android 4.1. However, despite coming with Android, it appears Samsung will restrict the downloading of apps for its smartwatch to its own app store. Unsurprisingly, the Galaxy Gear will also come with a range of sensors. An accelerometer will be used for the usual fitness tracking, alongside turning the watch's screen on when it senses it is being brought up to the wearer's face. 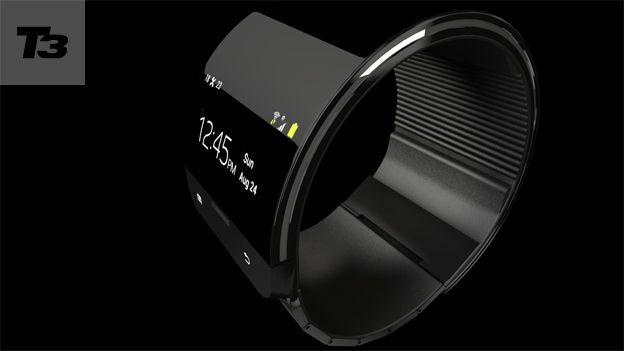 Samsung has confirmed that it is working on a smartwatch, but it is yet to confirm its name or any of its features. Speaking in March, executive vice-president of Samsung's mobile business Lee Young Hee said: "We've been preparing the watch product for so long. Watch our Samsung Galaxy Gear 3D concept video below to see what could emerge on and in the smartwatch.